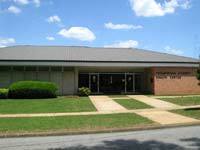 The Tallapoosa County Health Department has offices in Alexander City and Dadeville. Clinic and vital records services are available at both offices. Vital records include certified birth, death, marriage, and divorce certificates for events that occurred in the State of Alabama. Environmental services are available only at the Alexander City Branch. Home health services are provided through the Talladega County Health Department. Call us at (256) 329-0531. For more contact information, including addresses, phone numbers, and email, please contact us. The Tallapoosa County Health Department provided over 600 immunizations in 2017. For details on this and other public health accomplishments and initiatives, see the 2017 Tallapoosa County Health Department Annual Report. Hours are 8:00 a.m. to 5:00 p.m., Monday through Friday, except holidays. Home Health staff is on-call seven days a week, 24-hours a day.